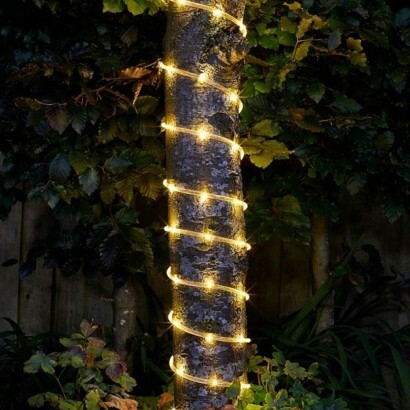 Achieve a constant rope light effect without the need for a mains connection with solar powered rope light. 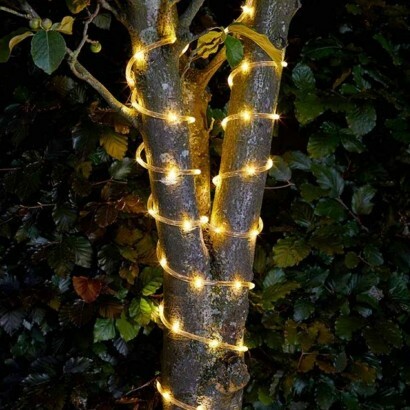 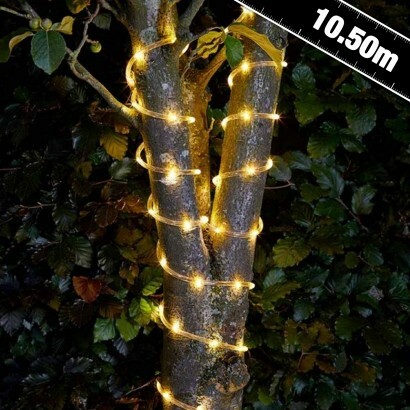 Lit by 100 warm white LEDs, rope light gives a more solid light effect than fairy lights and looks fantastic looped around tree trunks, lining fencing, around trellises, balconies and more for stylish garden lighting. 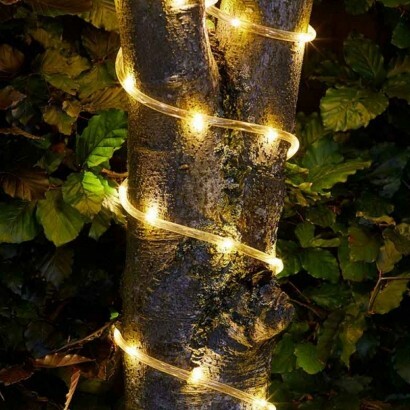 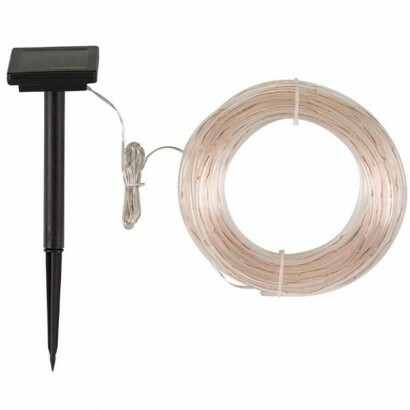 Simply stake the solar panel where it will receive maximum exposure to light, choose from flashing or static light effects and enjoy 10.5m of warm white light night after night.